The Apple Tree Pruning season is over for us at CFA, but don’t forget about next year. There were a few trees this year that we saw quite a bit of uprooting or branch-failure due to heavy snow and wet conditions. Underneath all that snow was a “soupy mess” of soggy soil. If we had gotten to those trees earlier and reduced their height and width via pruning, we could have saved some of them and they might still be standing. Next year. 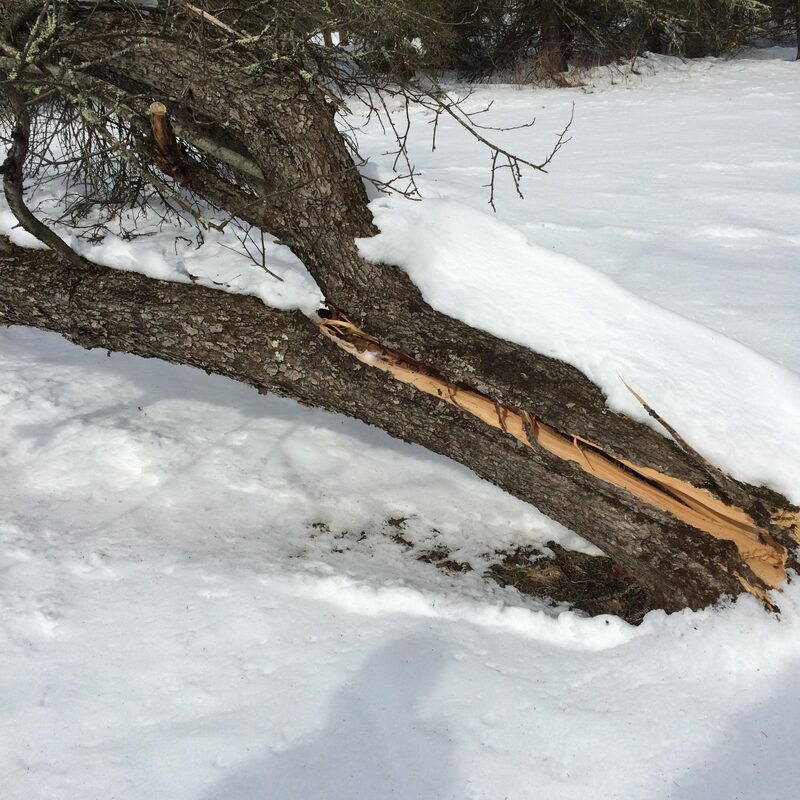 Tags: Apple tree damage, Apple Trees, Catskill Forest Association, Catskill Mountains Categories: What's New?